Consults with you on the most appropriate test methods to use for your samples, or what samples may be appropriate for a given investigation. Inappropriate test methods or samples cost more money and give results that may be difficult to interpret or defend and subsequently a waste of resources. Provide you with prompt and accurate mold and bacteria testing. Provide you with data interpretation (if required) and relevant technical information. We don’t just list molds and bacteria that were identified, we will also detail all the relevant identified analysis information. Always willing to provide services after working hours; we understand on-time completion of projects is critical to your business. Provide free unlimited after-sales consultation. As our client, you enjoy unlimited assistance by sending your questions directly to our Help Desk or by filling out our Question Form. For immediate assistance, you are free to call our helpline at 905-290-9101. Our mold testing service, along with bacteria testing include analysis of non-viable mold air samples (Air-O-Cell, VersaTrap, Micro 5, cyclex D, LARO-100, pcm cassettes), viable mold and bacteria air samples (RCS, Andersen, etc), direct microscopic and culture analyses of bulk samples (drywall, wallpaper, pieces of carpets, insulation material, dust, wood and other matrices), tape-lift and swab or wipe samples. We also help troubleshoot mold/bacterial problems in residential buildings, industrial settings, hospitals, and offices. Here is some great information about how to collect samples. Culture (viable) analysis. This includes enumeration of the colony forming units (CFU) and identification of molds to genus or species. Samples may include RCS, Andersen, LARO-100, or any other media suitable for culture analysis. The report includes a list of recovered molds and their concentration as colony forming units (CFU), statistical comparisons of samples where possible and information on the recovered molds where available. Non-viable (total spore count) Analysis. Samples include Air-O-Cell, VersaTrap Cassette, VersaTrap Sampling Cassettes, SKC BioStage, SKC BioCassette, Micro 5, Cyclex D, LARO-100, PCM and other cassettes. This analysis involve spore counting and identification of different categories of mold spores. The report includes spore counts for each category of spores and the grand total spore count for all spores per cubic meter of air. Wherever possible spore counts and categories of spores for all the samples are compared. For example, drywall material, wallpaper, pieces of carpet, etc. Bulk samples could be analysed by either direct microscopic examination (DME) or culturing. A report for DME analysis gives a listing of the observed molds in rank order. Information of the recovered molds is also given. Culturing involve identification of recovered molds to species and listing them in rank order. Swabs could be analysed by direct microscopic examination (DME) or culturing. A DME report for these samples is similar to that of bulk samples. A culture report includes a list of the recovered molds identified to species level and concentration of these molds if the analysis involved quantification. Tape samples are usually analysed by DME but could also be analysed by culturing. The report produced here is similar to that of DME for bulk samples. From carpet, upholstery, mattress, soils, and other sediments. These samples are suitable for either culturing without quantification (Direct Plating) or with quantification. They may also be analysed by DME. A report for culturing for quantification lists the recovered molds and their concentration as CFU per gram of dust or per unit area. Suitable for analyses by culturing. Could also be analysed by DME. Reports produced for these samples are similar to those of other samples. The samples discussed above (with the exception of tape-lift and non-viable air samples) can all be analysed for culturable bacteria. Plus, we can also test water samples. Since virtually every sample has some form of bacteria, it is important to have a clear objective before requesting our bacteria testing service. Also, some samples are not suitable for bacteria analysis or for some categories of bacteria. Gram Staining and Enumeration of Culturable Bacteria. 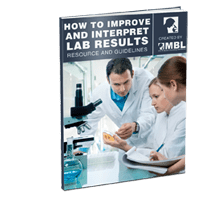 To ensure the lab has in stock all the reagents required for a particular bacteria test, please call before sampling to let the lab know the type of analysis required, the turnaround time, and the number of samples. We are pleased to offer assistance to industrial and occupational hygienists, certified mold inspectors, environmental engineers and other consultants, in designing sampling strategies and also determining the most suitable types of samples to take for a given investigation. We also assist field consultants in troubleshooting mold and bacterial problems in industrial settings, hospitals, offices and residential buildings. For information on pricing of rental equipment and sampling media, check rental equipment and sampling media. Should you have a question concerning bacteria or mold testing or any mold/bacteria related question, please contact us by filling out our Question Form. Your questions will be answered within 48-72 hours. For immediate assistance call 905-290-9101.